Alice Constance Austin (1868-1930) was a female architect who planned houses designed to reduce domestic labor. This was to promote gender equality. Not only an architect, Alice was a city planner, feminist, socialist, and designer. 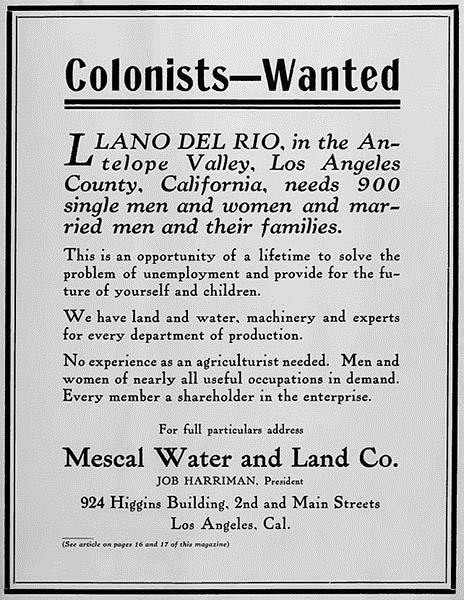 The Llano del Rio is Alice's most recognized project. In the early 1910s she was hired to help plan for a cooperative community in California. 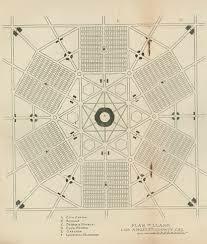 This city plan was a circular model including administrative buildings, restaurants, churches, schools, markets, etc. Houses included plans for kitchenless living spaces, communal daycare areas, built in furniture, and other various designs that were created to reduce a women's domestic workload. Alice's radical feminist views were certainly in consideration with her city planning. This modern feminist design proposed the use of underground tunnels for laundry, transportation of supplies and goods, and hot mean delivery service. All of this was designed in hopes to result in less domestic housework, convenient child care, etc., freeing women of the traditional household duties and allowing her to become more of a member of society. Although Alice's grandiose plan was never fully implemented, it is still a pivotal and important city planning design done by a woman who was looking to break the barriers of that time, and wanting to allow women to have the same opportunity and availability as men to become equal members of society. What is a Translucent Cutting Mat?